Advice Home > Alzheimer's > Dementia Vs. Alzheimer's: What's The Difference? What's the difference between Dementia and Alzheimer's Disease? Perhaps you might have confused these terms sometime in the past or unknowingly thought they meant the same. Well, don't worry! You are not alone. To have a better idea, think of the differences between a cough and a disease like tuberculosis. A cough isn't a disease or a disorder, it can have many different causes, and one of them could be tuberculosis. This is along the same lines when we talk about Dementia and Alzheimer's Disease. While Dementia is a condition, Alzheimer's Disease might be its cause. We will discuss more it in detail a little further. 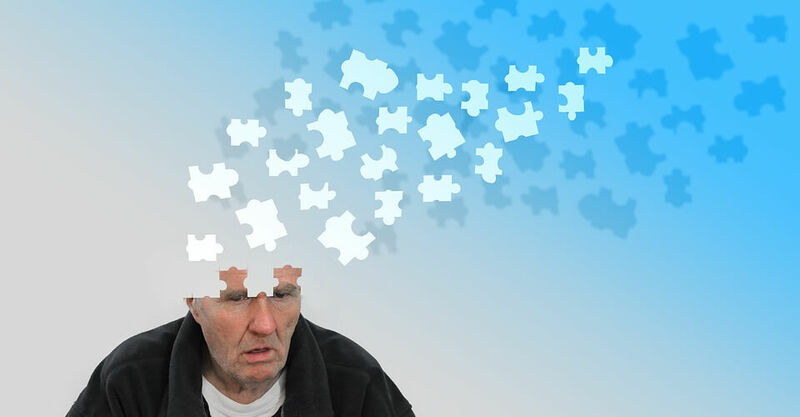 While the following article will help you build a better understanding about Dementia and Alzheimer's disease, as well as the essentials associated with it, however it is highly encouraged to seek expert advice for any help with related issues. Professionals at betterhelp.com are always there to provide the care and comfort you or your loved ones require to lead a better life. The term Dementia is like an umbrella that covers various progressive conditions that cause damage to brain and nerve cells. When we talk about Dementia, we particularly point towards a condition which causes memory loss and difficulties in speech. The most common is - Alzheimer's Disease. Dementia is caused by brain and nerve cells were damaged and their connections being disrupted due to one or more such diseases. The area of the brain where this damage occurs mostly determines the symptoms and the form of Dementia the person might be suffering from. Why Is It So Important To Diagnose Dementia At The Right Time And Find The Type Of Dementia The Person Is Suffering From? Dementia is not a single specific disease, instead of a combination of symptoms that might have many different causes, one of which may be Alzheimer's Disease. Similarly, when dealing with Dementia, your doctor needs to figure out the underlying cause. While Alzheimer's Disease is the most common cause of most Dementias, it is not the only one. It can also be caused by Parkinson's Disease, vascular disorders in the brain, thyroid related illnesses, vitamin deficiencies, etc. ; which means that if someone has some form of Dementia, they do not necessarily have Alzheimer's Disease. 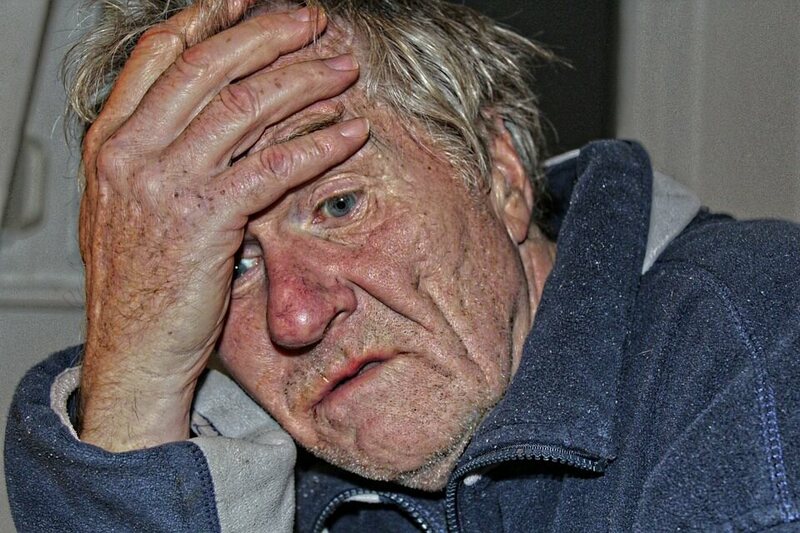 Diagnosis is essential because some types of Dementia like vitamin deficiencies, side effects from medications, infections, or an inefficient thyroid gland can be reversed given the cause is diagnosed and treated at the right time. Dementia mostly occurs in people above the age of 65 and roughly two-thirds of the population with Dementia is over eighty. In the beginning, the very first signs might just seem like an exaggerated forgetfulness, but over time the memory loss would get worse and worse - the thinking would be affected, the speech might get damaged, and as a result, the behavior would change. At the end of the day, everyone's experience with Dementia is unique, and there are a few fundamental factors that are responsible for its signs and symptoms, one of which is the cause. As established earlier, the area of the brain that is affected determines most of the symptoms associated with the condition. If, for example, the nerve cells at the back of the brain are impaired, the person's vision might be affected. If the cells at the side of the brain are disrupted, the person's speech would be affected. There are a few different causes that may form the foundation of dementia, the symptoms of which might sometimes be similar and overlap, making it difficult to tell apart and diagnose the right disease. While each disease has some characteristic symptoms, these may change from one person to another depending on the region of the brain that has been affected. Memory loss associated with everyday activities - A typical age-related change might be the inability to remember names or appointments easily. Difficulties in expressing thoughts through speech and writing like delaying conversations due to the inability to find the right words. Difficulties in planning or solving problems like committing occasional errors while balancing finances. Trouble visualizing images in space, often accompanied by vision related illnesses like a cataract. Challenges in completing regular and familiar tasks - People who have Dementia often need help with daily activities like using a microwave, television or a telephone - tasks which were once easy and familiar to them. Misplacing things and being unable to retrace the steps that cause a certain outcome. Evading necessary activities and social obligations or being easily distracted from doing them. Uncertainty with time - A common change which might be observed with age is forgetting the day of the week but figuring it out later. Losing the ability to make the correct decisions. Emotional changes which become typically noticeable when a certain routine or way of completing tasks is disrupted. Alzheimer's Disease is the most generic cause of dementia and one of the best understood. It is thought to be caused by the formation of unusual deposits of protein in the brain, specifically of that of Amyloid and Tau. These proteins are present in healthy brains, but in people who have Alzheimer's Disease, they function abnormally. Amyloid forms plaques outside the cells while Tau forms tangles inside them. These plaques and tangles damage and destroy nerve cells. As these cells keep dying, the functioning of the brain keeps deteriorating. What Are The Symptoms Specific To Alzheimer's Disease? The Symptoms associated with Alzheimer's Disease are generally age-related changes that may mostly occur after the age of 65. Early-onset Alzheimer's is a rare form of the disease that might occur to people below that age and transpires in only 5 percent of the population suffering from Alzheimer's Disease. The hippocampus, the component of the brain that plays a vital role in retaining memories, is usually the first to be affected. Hence, more often than not, the first signs of the disease are the inability to form new memories. What is more specific to Alzheimer's is that recent memories tend to fade away quickly while others may remain for much longer. A person might remember things from his or her childhood but find it difficult to recall what happened an hour ago. The reason behind this strange behavior is that older memories rely more on other parts of the brain than the hippocampus itself, which might not have been damaged yet. However, as the nerve cells die, you might notice that people who have Alzheimer's might slowly start forgetting more and more about their lives. The amygdala, the component of the brain responsible for emotions get affected much later which might explain why people who have Alzheimer's may recollect feelings from a certain event while not remembering all the facts associated with it. Can Alzheimer's Disease And Other Forms Of Dementia Be Cured? What Are The Treatment Options? As discussed earlier, a few causes of Dementia can be cured given that they are diagnosed right and treated in time. However, most forms of Dementia are complex and difficult to cure and often progress to the point where people suffering from it find it difficult to live on their own. As the disease progresses, it might become much harder to cope with memory loss. Cholinesterase Inhibitors - These medications improve communication between the nerve cells by providing acetylcholine, a neurotransmitter that is depleted by Alzheimer's Disease. They are well-known to improve mood-related symptoms like anxiety and depression. Memantine (Namenda) - This drug targets another network of brain cell communications and is often used alongside Cholinesterase inhibitors. They, however, often do cause some side effects including dizziness, headaches, and constipation. Adapting to the lifestyle of the patient and creating a safe, comfortable and supportive environment is a crucial part of an Alzheimer's or any other Dementia-related treatment plan. For someone suffering from the condition, bolstering their routine habits and minimizing memory-related tasks can make their lives much more manageable. While people with Alzheimer's and other forms of Dementia might need proper support and care to help with everyday tasks, there are numerous simple memory techniques to help handle memory loss. For example, a pin-code might be remembered by visualizing a shape on a keypad. There are also various memory aids that ought to help like calendars, reminders, alarms, sticky notes or even some high-end medical equipment like electronic medication reminders. As Alzheimer's Disease advances, a person might have mood swings, emotional changes, and unfamiliar reactions and expressions to certain actions. It is important to look past the person's behavior and try to understand how the person responds to certain events, actions, or activities and work out how they are feeling. There might be a point in life, where even hiring a professional care-taker wouldn't be a bad idea. If you feel that a loved one might have Alzheimer's Disease or any other form of Dementia, it would be best to contact an expert. While there aren't any guaranteed cures yet, the symptoms can be controlled and treated, as well as the quality of life improved with proper medication and care.